Kansas is home to more than two dozen colleges and universities, including two Amber Road customers- University of Kansas and Wichita State. These two universities are not just serious about education, but they know how important export compliance is for research institutions. Established in the 19th century, Wichita State University (WSU) and University of Kansas (KU) have grown their graduate and undergraduate programs over the years. Combined, both universities enroll over 50,000 students. As part of their school of medicine, KU operates the University of Kansas Medical Center. KU also operates educational and research sites in five other cities across the state. 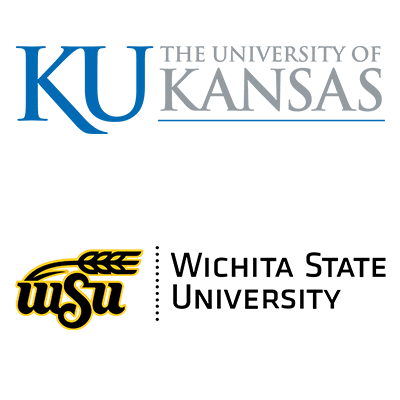 Wichita State University and the University of Kansas both switched to Amber Road’s Export On-Demand University & Research Edition for their higher education export compliance needs, including RPS Screenings, Deemed Export Controls, Determining License Requirements and Product Classification and Classification of Products for HS Requirements. With the requirement of screening against government denied party and admissibility lists, KU and WSU needed a more accurate solution to stay compliant within their expansive international research programs. In addition, by switching to Amber Road both universities saved a significant amount of money compared to their previous provider. In comparison to their former compliance risk management system, Amber Road’s Export On-Demand University & Research Edition, a web-based solution tailored to higher education export compliance, has brought greater value at a fraction of the cost. Some organizations that have switched to the Amber Road platform have saved ~25% on their annual subscription costs and improved their capabilities. Check out our page to see some of these universities! Wichita State University and University of Kansas will leverage Amber Road’s higher ed solutions to help with their unique compliance needs while staying ahead of the changes to restricted party lists, deemed export controls, license requirements and product classification. As a game-changer in the world of university compliance, the Export On-Demand University & Research Edition will serve as a custom-built solution to the two schools. Export compliance solutions are available at the click of your ruby slippers (or mouse). Amber Road’s eBook, Export Compliance for Higher Education and Research Groups, explores how technology and automation can play an integral role in the development of their compliance programs. Check out the eBook now!